Forever a fan of Jenna Lyons. Worn to Solange Knowles’ highly instagrammed New Orleans wedding, this gorgeous look is so hands-down beautiful, I had to come out of the blogging woodwork to do a post about it. 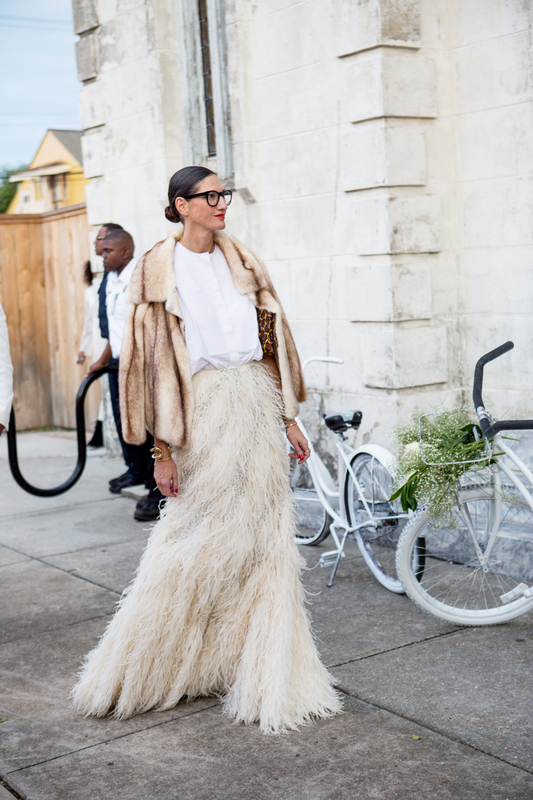 While everyone was admiring the bride, here glides in Jenna Lyons in a gorgeous full length feather skirt, crisp white shirt, dreamy fur jacket, and leopard clutch. Wait… what bride? I forgot about her too. I think this look could even work for a modern day, unconventional bride. That skirt is absolute heaven. What do you guys think?